Solving word problems doesn’t have to be scary for students. 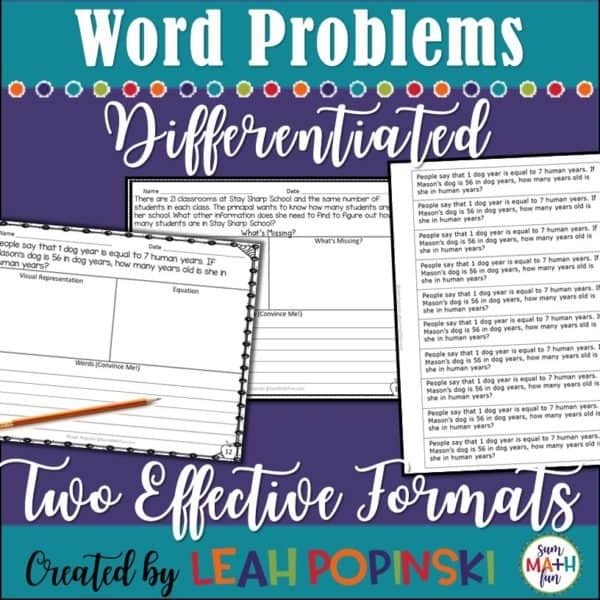 These word problems have a graphic organizer that will help your students truly understand word problems and give them confidence in solving them! Students can often easily solve computation problems but give them a word problem and everything goes crazy! They find it difficult to understand word problems and frequently don’t know what computation or thinking is required to solve them. Sometimes just getting started and finding an entry point is a struggle. This problem solving graphic organizer helps students make sense of problems instead of relying on tricks and keywords. Giving your students this graphic organizer as a tool will make word problem solving fun and engaging while at the same time building skills in a rigorous way! ◼️ Having the second cut-and-glue format gives you the option of allowing students who are confident with strategies to solve the problems in a math journal (spiral). ◼️ Have one of these problems ready to go on your SmartBoard when your kids enter your room. 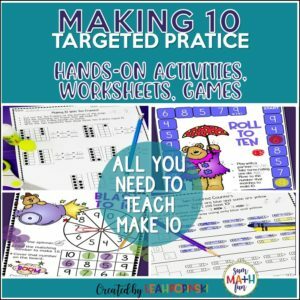 Also use them for Math Workshop, small group RTI, and homework. 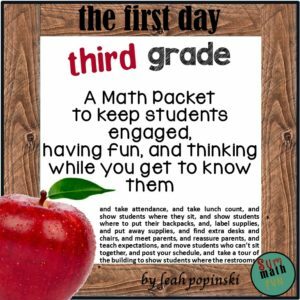 ◼️ They are fun while still being purposeful, Amazingly Effective, and rigorous. 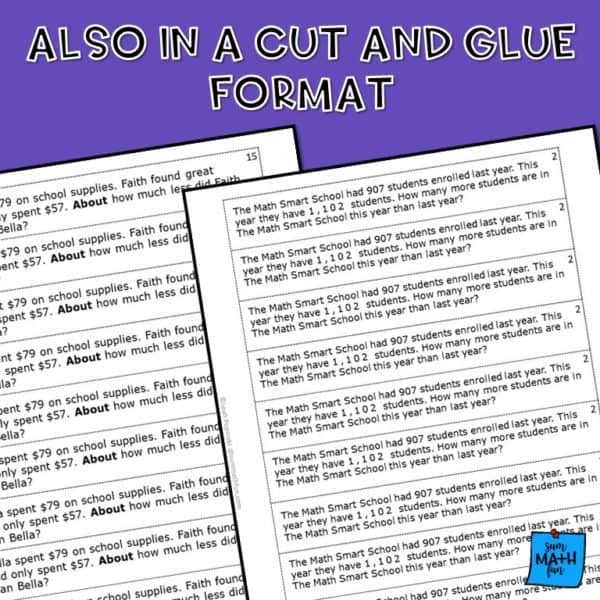 ♦ The same 20 problems in an additional cut-and-glue format. These problem strips may be glued into students’ math spiral notebooks. ♦ 4 word problems with missing information. Students determine what additional information is needed to answer the question. 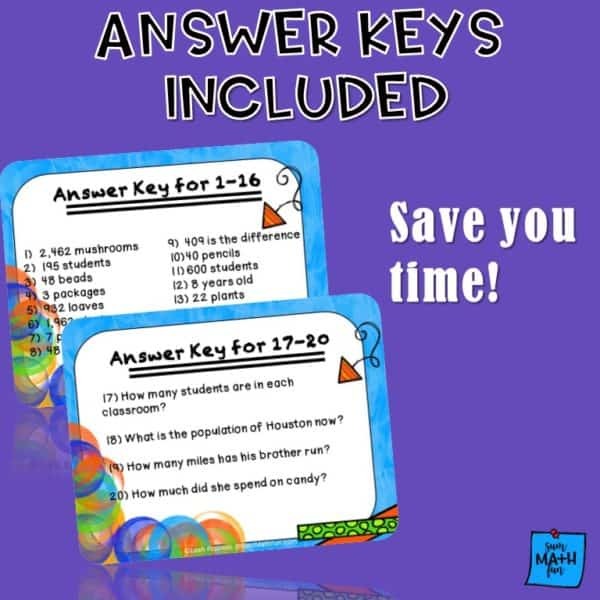 ♦ Three posters of different essential questions so you can choose the question that best meets the needs of your class. 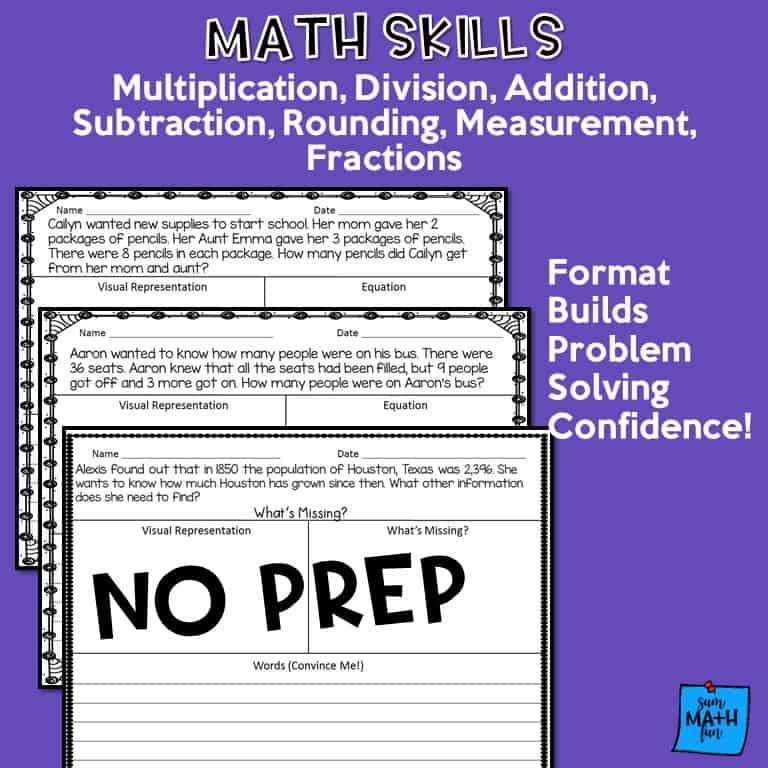 ♦ A poster that lists some of the Common Core skills that students will be using to solve each problem. 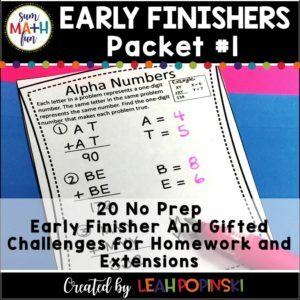 ▶️ Please note: this resource is included in a huge full year bundle of six different math packets which includes a total of 138 word problems just for 3rd grade! Purchasing the bundle will save you 30% compared to buying each product individually!! No prep! ❤️ Just print, and go!